Missiles are a type of conventional weapon. 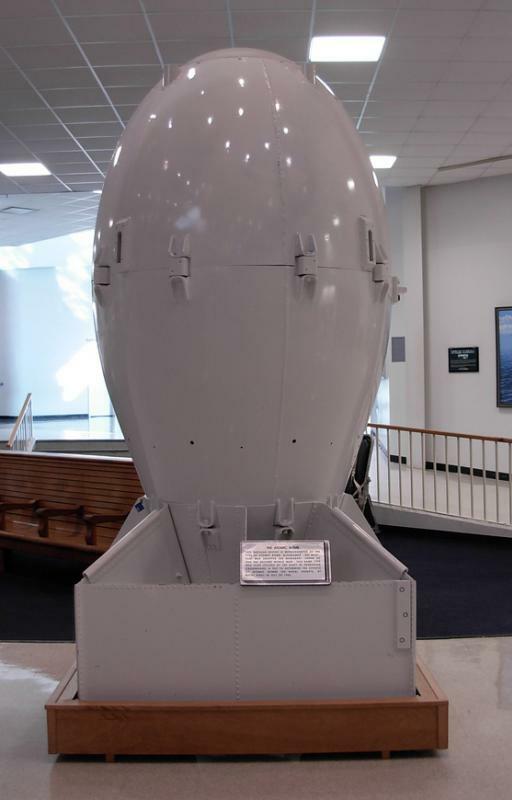 A replica of the "Fat Man" atom bomb, which was detonated over Nagasaki. Nuclear weapons produce a tremendous amount of heat energy over a large area by splitting or fusing atomic nuclei. Conventional weapons are weapons that do not cause mass destruction. Weapons of mass destruction (WMDs) include nuclear, chemical and biological weapons. WMDs are a source of political controversy within and between nations. Many countries have signed treaties that outlaw the use of WMDs and some conventional weapons, such as anti-personnel landmines and incendiary weapons. Modern conventional weapons generally refer to guns and chemical explosives. Guns fire solid projectiles that cause damage when they collide with an enemy target. Chemical explosives can be fired by infantry, tanks, aircraft and naval vessels and explode on contact. WMDs are usually placed into three categories, one of which is nuclear. Nuclear weapons produce a tremendous amount of heat energy over a large area by splitting or fusing atomic nuclei. 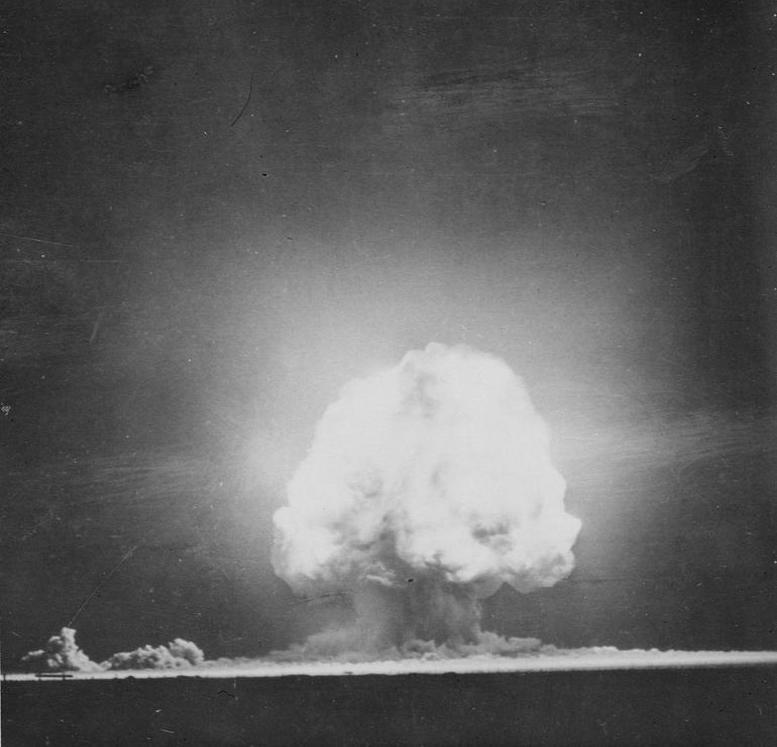 The only nuclear weapons used in warfare were those the United States dropped on the Japanese cities of Hiroshima and Nagasaki during the Second World War. Many leading world powers possess nuclear weapons today. A major foreign policy objective of many of these nations is to prevent the spread, or proliferation, of these weapons around the world. A second type of WMD is chemical. Chemical weapons typically release a chemical agent that is directly harmful or lethal to humans in the area. They can also target the vegetation or animal life enemy forces depend on. Though many conventional weapons use chemical reactions to explode, chemical weapons do not depend on explosive force. Chemical weapons generally do not produce a disaster zone as large as that of nuclear weapons, but they are classified as WMDs because of the indiscriminate nature of their effects. A final category of WMD is biological. Biological weapons involve harmful living agents, typically bacteria and viruses. These weapons can be genetically engineered to produce specific detrimental effects in an enemy. There are some shared characteristics between chemical and biological weapons, but because the latter could be spread from person to person, it has the potential to infect entire populations. WMDs are often criticized because of the disproportionate level of damage they cause when used. Some conventional weapons, however, are criticized on the same grounds. Despite their wartime effects on soldiers, anti-personnel land mines often maim or kill civilians after a conflict has concluded. Similarly, incendiary bombs designed to set fires often cause many civilian casualties and destruction of property. For these reasons, many nations signed the Convention on Certain Conventional Weapons in Geneva, Switzerland in 1980. What Was the Ottawa Treaty? What Happened on October 6? What are Russian Nuclear Weapons? What is Nuclear Weapons Proliferation? What are the Primary Delivery Methods for Nuclear Weapons?